This listing is for 1 pc. 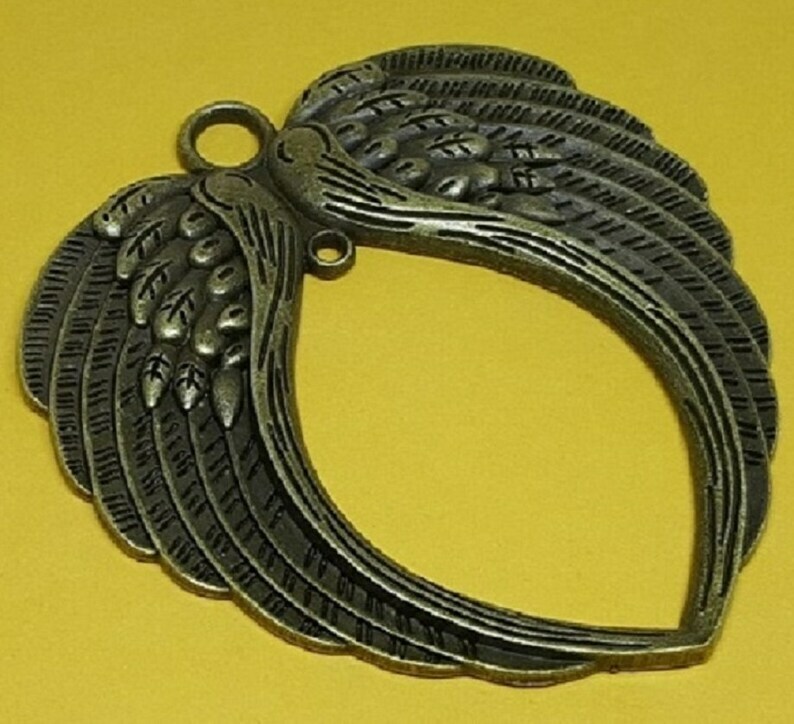 Angel Wings Charm. Antiqued Bronze. Please note: This charm is very large, it fits in the palm of an average hand. These are some really nice one sided Tibetan Style Antiqued Bronze heart charms with great detail! This is one sturdy piece! I've given them away as gifts to family members and they love them! This double angel wing charm is perfect for a rearview mirror charm. It has a hole on top of the charm to hang it from, and a hole in the center from which you could dangle a charm or a bead. You could glue two of them together to make it a 3 dimensional charm. Thank you for the care and extras, very sweet!